Armed officers will patrol the streets of London as the city prepares to mark the New Year with its traditional fireworks display. Police said a range of security measures had been in put place after a series of terror attacks struck the city this year. Hundreds of thousands of people are expected to line the banks of the River Thames to welcome the first moments of 2018. 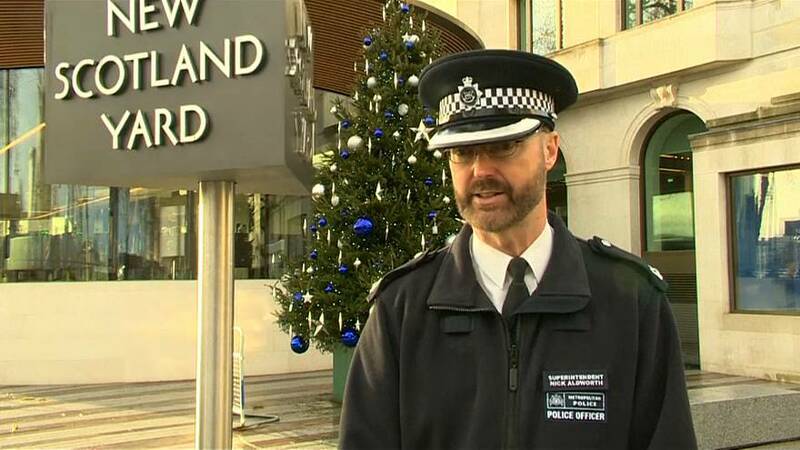 Metropolitan Police spokesman Nick Aldworth said: "As they come into the footprint they will see an effective search and secure regime, they will see physical barriers, they will see uniformed police officers, they will see visible uniformed private security contractors. "What they won't see is a number of covert resources that are also working alongside us to keep this event safe." There were four major terrorist incidents in London in 2017, including an attack on the Houses of Parliament in March in which a police office and four other people were killed. In June, eight people died when armed men stormed a marketplace near London Bridge. The city also saw smaller-scale attacks near a north London mosque during Ramadan and on a commuter train in southwest London. The Metropolitan Police said there was no specific intelligence of an attack on New Year's Eve but urged people to remain vigilant.